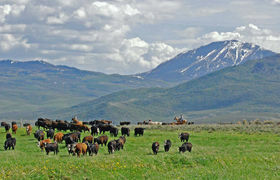 Join US at Focus Ranch...both a Wyoming and Colorado experience! Miles of "Open Space”, abundant wildlife and the Little Snake River out your window! Slater, Colorado - on the border of Wyoming and Colorado 50 miles from Steamboat Springs, CO.